Welcome to the official homepage of Shinwa Rules Co., Ltd.! New English General Catalog Released ! Get our new product information HERE. Welcome to the official homepage of Shinwa Rules Co., Ltd.- We are the leading manufacturer of measuring instruments having the largest share in Japan in the field of metallic scales. 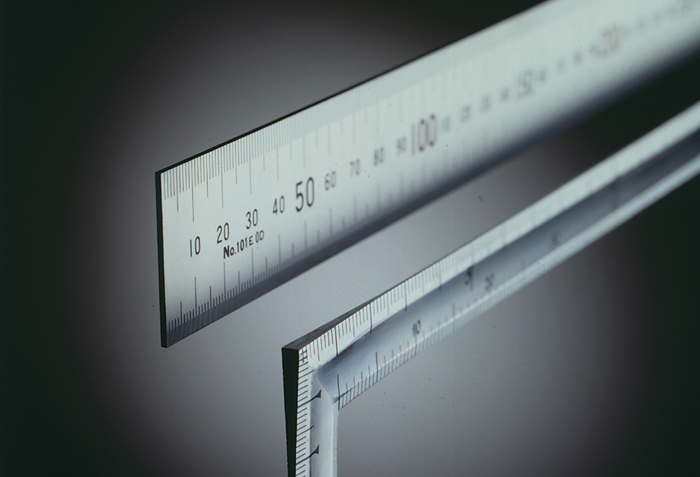 We manufacture metallic rulers as flagship products and variety of measuring instruments, and provide them through distributors around the globe. Our products are mainly used for measuring architectural materials in the construction industry and highly reputed as excellent design with user-friendly functions by builders. Also, many professionals working in manufacturing plants and inspection institutions are satisfied with our products' lengthy durability under harsh environment. Make people around the world's lifestyles rich with our products. These values and our corporate culture emphasizing the importance of serving empathetically to our valued customers are imparted to our talented employees. Shinwa Rules Co., Ltd. always value our customer's opinions. For that reason, many customers are satisfied to stay and to form long-term partnership with us in most cases. We hope to find more customers around the globe for making measuring activities more fruitful. Please contact us and discuss our future business opportunities. We will not disappoint you! Regardless of any inquiries, questions, comments and consultations, please feel free to contact us. Our customer representatives will get back to you in return. Thank you very much for visiting Shinwa Rules Co., Ltd.'s official homepage.